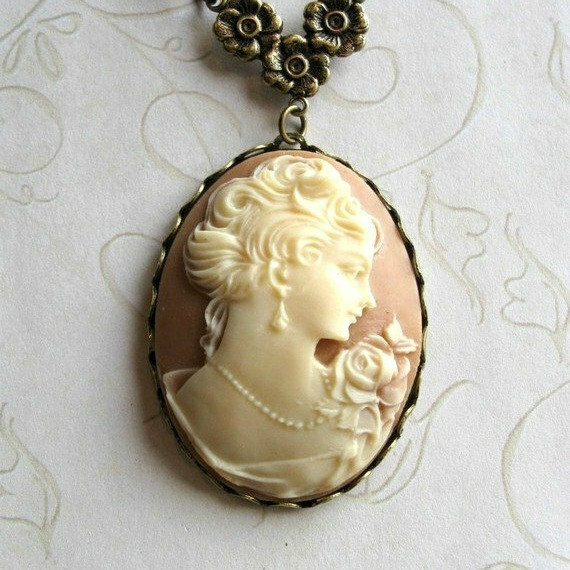 Here is a pretty, vintage style cameo necklace featuring a beautiful lady with a rose atop her shoulder. 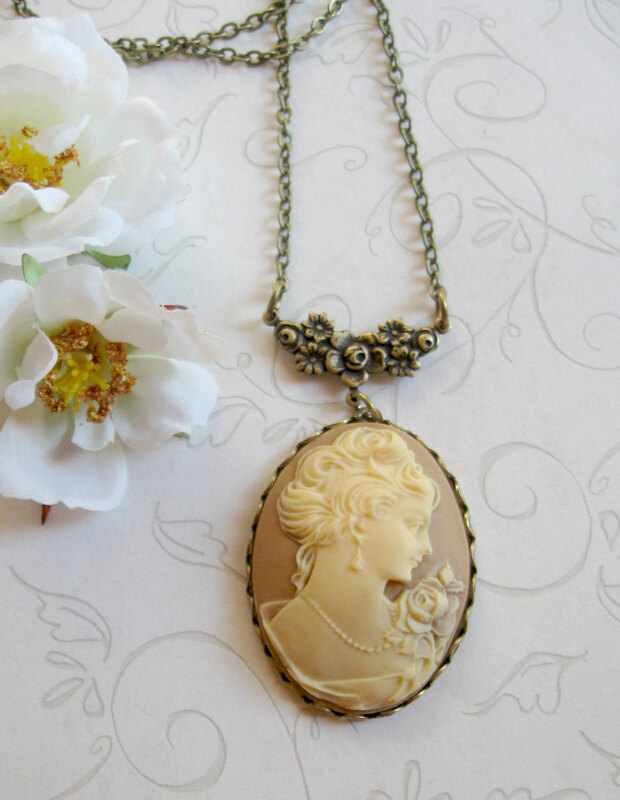 This cameo has very nice detail and is set in an oxidized brass setting. 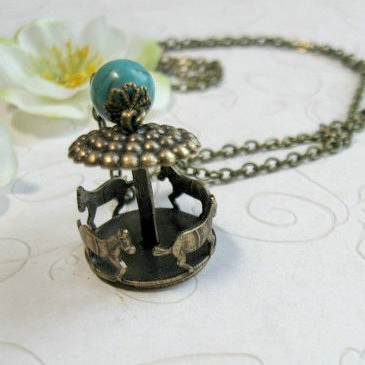 This pendant is suspended from a lovely brass floral connector and comes on a long style brass chain. 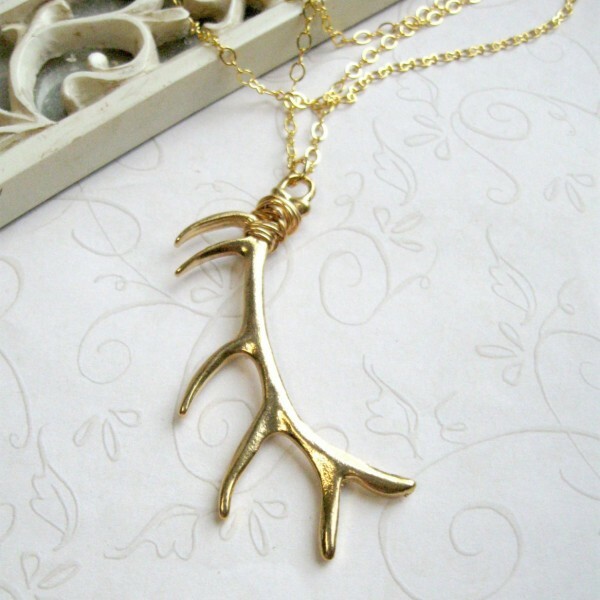 This cameo is a light creamy beige in color. 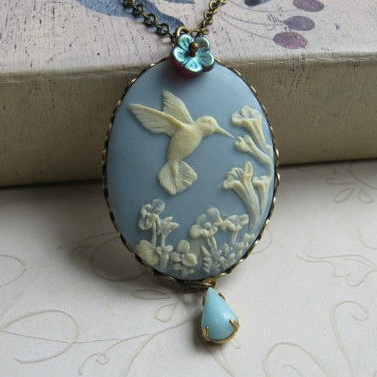 This necklace come shipped in a Botanical Bird gift box. Please choose chain length from the drop down menu.